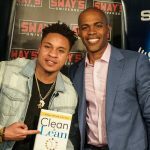 Real emcee’s only, the phrase used time and time again when rappers step to the mic on Sway In The Morning. So what separates the real emcee’s from those that stumble on the beat? 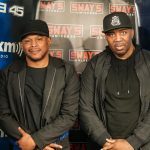 Sway and DJ Wonder came together in early Novermber 2011 to formulate one of the greatest tests for any rapper that dares to step into the booth, enter the 5 Fingers of Death. DJ Wonder plays 5 unique beats with varying BPM and tempo meant to test lyrical stamina on the mic. From EDM to easy listening to grunge, no genre is off limits and no emcee is safe! 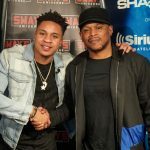 Many have failed and fallen flat on their face while others have excelled and left the whole Sway In The Morning crew with their jaws on the floor. We have created a list of the top 10 artists that have stepped up to the mic to knock the 5 Fingers of Death out of the park. Turn your volume up and have your notepad ready as you take in some of the best in the game freestyling on one of the biggest platforms in rap. Where is Common? He did 5 fingers of death and rapped about random words you threw at him.